The Prolific Works staff may post announcements from time to time. These announcements include updates, check-ins, or reminders. Here is how to access these Announcements. Announcements will be listed by date posted unless you edit this (editing is covered in the “Changing Item View” section of this document). The most recent will be at the top. 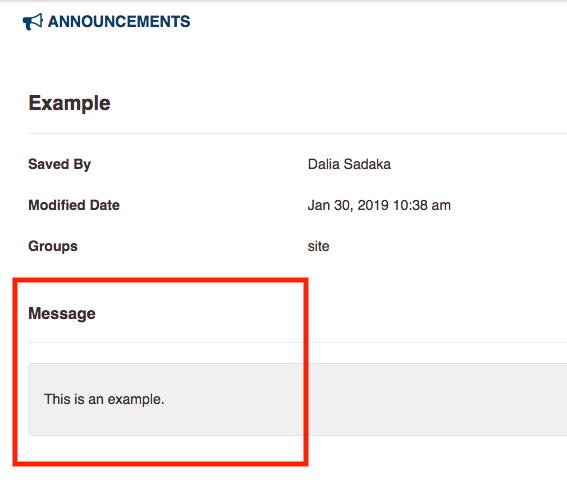 To view an announcement, select the subject name. The information will be listed under Message when you open an announcement. The Announcement page can be organized how you like it. By default, the announcements are organized by the most recent posts. This is the best way to organize announcements because they will appear by what is most relevant at the moment. 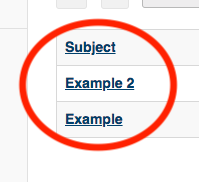 If you would like the announcements organized alphabetically, you can click on the “Subject” column title. If you would like to organize Announcements alphabetically by author, click on the “Saved By” column title. 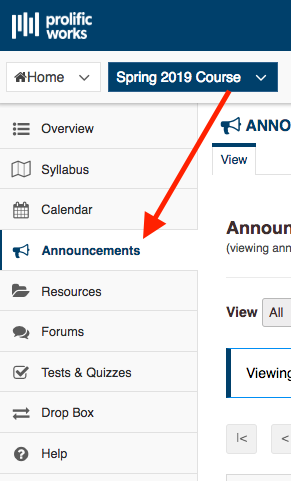 If you would like to organize Announcements by most recent or least recent posts, click on the “Modified Date” column title. 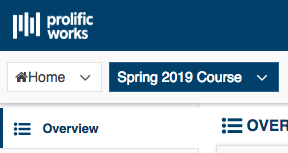 If you would like to change how many Announcements you see on the page, you can select how many items you can see per page. Click on the items drop down menu above the Announcement content table. 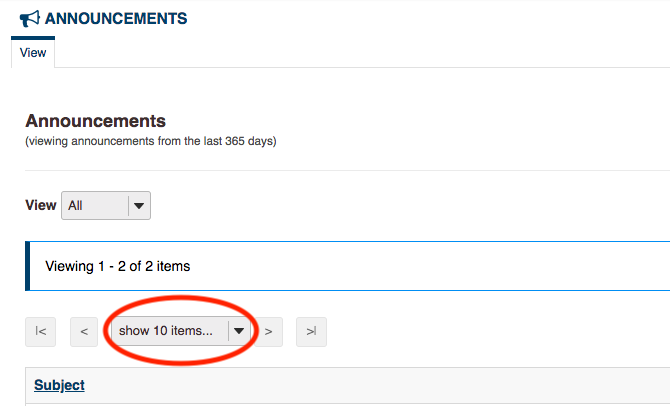 The drop down menu will give you the option to change how many Announcements you see listed per page. Select your preference.